So I was cruising around New Capital Computer Plaza, looking for some cisco console cables, and I saw a bunch of old Xeon desktop computers for sale. Prices were in the 250-500 USD range, which seemed pricey to me. And keeping in mind that my desktop is already a Xeon E3-1230, it did seem kind of pointless. 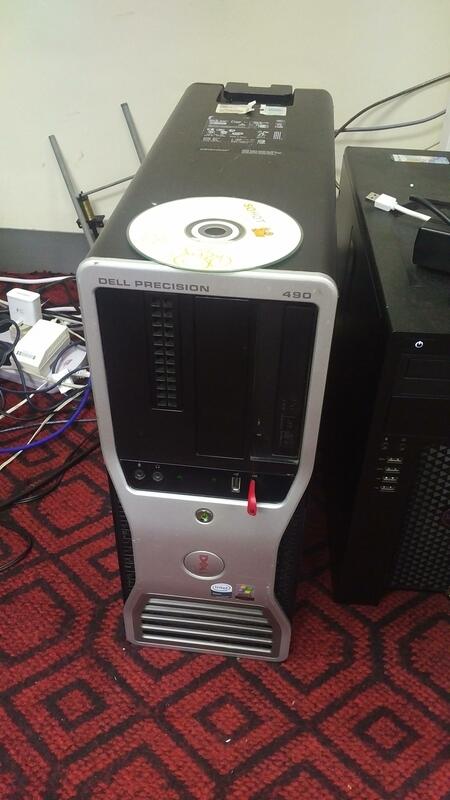 But then I saw this Dell Precision 490 for about $99 USD. Great, so what are the general specs? Well the ‘nice’ thing about Dell is that they keep all their old stuff online, so looking at the specsheet we can see It’s not a bad machine for something circa 2006. Even archive.org has the old pricing online too! By my calculations this machine was about $5,012 USD, and that isn’t including the after market video card, which would be about $180 USD when it was new in 2008, bringing the total MSRP on this thing to $5,192 USD! Of course it is now 2016, and this machine is 10 years old, with an 8 year old video card. Also of interest is that it came licensed for Windows XP x64, which was the first publicly available AMD64 OS from Microsoft. Unlike traditional Windows XP, this 64bit version is actually built around Windows server 2003. This translated into the Intel iaStor product, and I was able to slipstream in the last version from 2009, 8.9.0.123 into the USB by using nlite. I have to say that once I had removed the gratuitous pirated Chinese Windows 7, and installed XP that this machine was pretty damned snappy! As always I updated to service pack 2. The onboard NIC is a Broadcom NetXtreme 57xx gigabit NIC, which unlike the ‘gigabit’ nic on my newer desktop, this one actually works at 1Gb. With Windows XP installed, I went to the AMD/ATI site, and found the download for the HD 4xxx series, and went ahead and installed Steam.  I have to say that Half-Life 2 runs GREAT. According to it’s onboard FPS counter I was getting anywhere around 60-180 FPS. Pretty awesome. Fallout 3 runs pretty snappy too. I tried Deus Ex: Human Revolution, and much to my surprise this vintage 2011 game runs on my 2006 Windows XP x64 setup. What about the overall internet experience? Well this being Windows XP, You are pretty limited by the traditional browsers. Internet Explorer 6 is the default browser which to say it’s dated is an understatement. I prefer Internet Explorer 7 over 6, but they are both so old it doesn’t matter. Internet Explorer 8 is also an option. The last version of Google Chrome to support Windows XP was 49.0.2623.75. Chrome 49 plays youtube just fine, Scripted Amiga is a little pokey, but does run. And how does this thing compare to my normal desktop? Running Geekbench 2, I get a score of 3396 vs 10864. Now keep in mind this $99 machine only has a dual core processor, while my newer machine has a quad core + hyper threading CPU. An interesting comparison is with the Xeon E5320 CPU, with the Dell eking out a victory. Installing additional software was possible via Virtual Clone Drive, while I did have ISO images of stuff I’ve had physical media of in the past, a broken drive wasn’t going to help me read anything. It’s a great machine for sub $100. I’d hate to have spent over $5,000 on this thing, but it’s kind of cool to see that a 10 year old machine like this can still be sort of usable. Of course updating the software will certainly go a long way in making it really usable. Hmm, does a (merely) 10-year-old, 64-bit machine already count as being retro? 😉 But yeah, Core 2 CPUs from which your Xeon is derived still pack a serious punch for general usage, especially if they’re clocked at 3 GHz like yours. Add an SSD (if not already done) and have fun. This is pretty much my thought. And as everyone is looking to raspberry pi, this is a machine that will utterly destroy an arm setup. The price is right too! Everything costs money, If you want performance, you either pay up front for bigger and more modern processors, or more utility bill, and smaller upfront. Besides when I’m not using it, I would have this thing powered off, there is no point idling a Xenon. I needed a new workstation for home last year, and after looking at various options, I ended up buying a used Precision T3500 with a Xeon W3680 and 12GB ECC RAM for about the same price as an i5 processor alone. Dropped in an SSD and it flies. Yes, pretty much when compared to emulation, the real thing is so much faster! Plus I can run Virtual PC without it crashing anywhere near as often as running it nested. My “dream setup” from circa 2006 would be two Sossaman Xeons; these were derived from the Core Duo. 32-bit only I know, but SMP using what are essentially laptop processors is very cool in my opinion. They’re not easy to come by, the same goes for the motherboard though. As for nested virtualisation, I’ve usually found it to be pretty stable but have to admit Virtual PC is usually not part of it. So what will you mainly use this machine for? Im using it to run Visual Studio 2003/2005 to deploy some .net stuff to existing Windows 2003 x64 servers. So it’s a chance to basically run the same thing, as XP x64 is the same kernel as 2003 & 2003 x64. It’s funny that by the numbers my newer Xeon with Windows 10 is faster, but this older thing feels faster. I see on this wiki page here, that my 5160 is 80watts, while this mobile Xeon you mention is 31/15 watt. Much better power for sure. For $99 I’m still not complaining about this old klunker. I may put Windows 10 on it again, as my wife’s desktop is getting insanely slow for some reason. I almost loaded steamos, but honestly I grew fatigued of Linux in 1996. Hello, why not to sp3, btw ? I had SP2 on hand, but didn’t have Sp3, and I honestly didn’t feel like downloading it. I was curious to see how ‘useful’ a SP1/SP2 based machine would be to keep that vintage ’99 feeling. Previous Previous post: Opus No. 1 Single for sale on iTunes! MIPS blast from the past..